Sept 25: Advance Ride are On Sale Now!! Please go to TICKETS page to see locations. Deadlines are coming up soon. please read instructions on Fair Entry before registering. ALL Food and Outdoor spaces are filled. Sept 18: Miss Kiwanis Ogeechee Fair this Saturday, Sept, 22, First Baptist Church. Check out Page under Events for more information. Aug 6th: NEW Policy during check in–NO personal vehicles will be allowed in the grounds during check-in. There are vendors trying to set up, Amusements is trying to set up rides, Kiwanis is moving equipment and doing last minute preparations. We do not want any one hurt or vehicle damage. This year check-in for Home Arts and Crafts, Fine Art, Produce, Canning and Baking will be at the Main Entrance of the Big Building. There will be two lines, an express line for those that pre-register and a line for those that have to register. 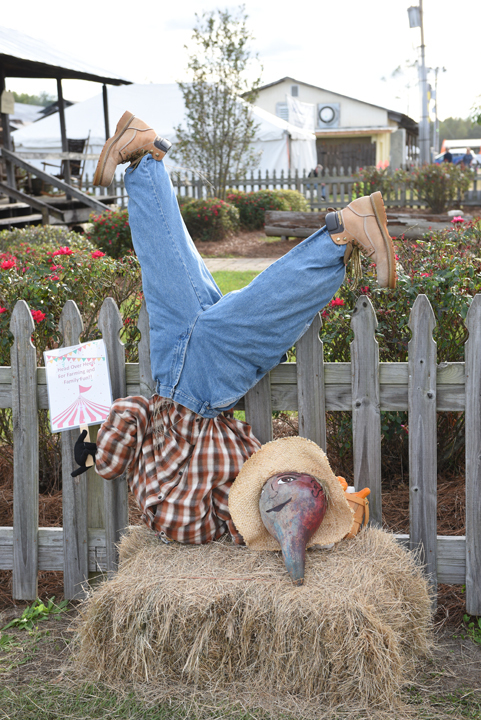 Scarecrows and 4-H Mini Booths will enter through the pass gate (EXIT gate during the fair) to set up. Commercial and Educational Booths can use side doors. Sept 30th: FairEntry will be open August 3rd. FairEntry allows you to enter Home Art and Crafts, Fine Art, Baking, Canning, Produce, Livestock, Poultry and Educational Booths at one time. It’s free . . .All you have to do is set up an account as a family or as an individual. A family can have more than one person entering more than one division. Example- Mom wants to enter Canned Goods and a quilt; Jane shows lambs and Billy has a 4 H Mini Booth and market hog. Go to the FairEntry page and all divisions and classes are listed. For more information, go to FairEntry. 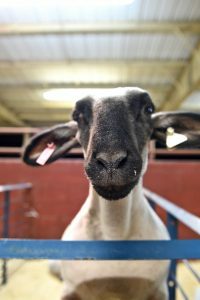 The Kiwanis Club of Statesboro would like to Welcome You to our 57th Kiwanis Ogeechee Fair. We hope that you and your family enjoy all of the great traditions available during this fair. . .like the Pancake House and the Pig Races. We are in the process of planning the 2018 Fair and have a few surprises up our sleeve! That does not mean we have abandoned our status as an agricultural fair. We feel the agricultural aspect of the fair gives our patrons a chance to see how things were done in the ‘good ‘ol days’. Please enjoy all of the food choices and su pport local area children as they show their prize animals. . .like a goat, lamb, cow or pig. Our Poultry Barn grows every year. Registering items for prizes and ribbons becomes easier every year. Those entering online will be upgraded to Express Entry during Check In. More information on that on the FairEntry page. By supporting this fair, you are supporting local area charities. Everything dollar that we raise here goes back into this community. Safe Haven, Food Bank, Concerted Services, Red Cross, Boys & Girls Club, Statesboro Regional Rec Department, Ogeechee Area Hospice, Meals on Wheels, Silver Lining Club are among just a few of the organizations we help support. So, we say welcome and thank you for your support.